This family-friendly Paranagua hotel is within a 15-minute walk of Mercado Municipal do Cafe and Museu do Instituto Historico e Geografico de Paranagua. Museu de Arqueologia e Etnologia de Paranagua and Saint-Hilaire National Park are also within 12 mi (20 km). 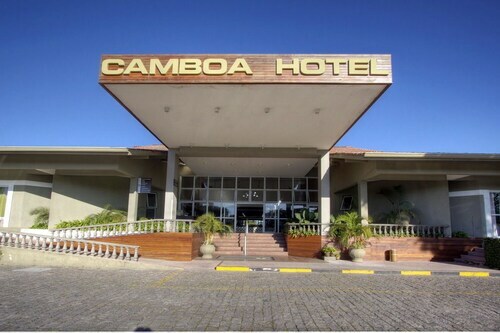 Situated in Paranagua, this hotel is within a 15-minute walk of Museu do Instituto Historico e Geografico de Paranagua and Mercado Municipal do Cafe. Museu de Arqueologia e Etnologia de Paranagua and Saint-Hilaire National Park are also within 12 mi (20 km). 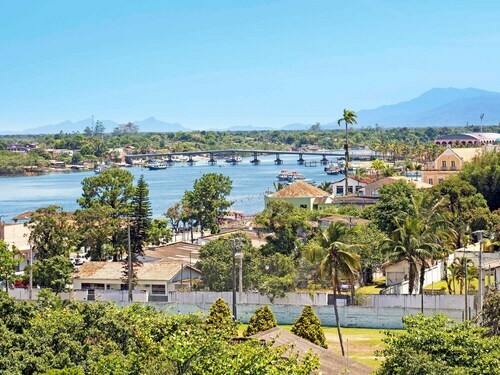 Situated in Paranagua, this pousada is 0.3 mi (0.4 km) from Portuguese Fort. 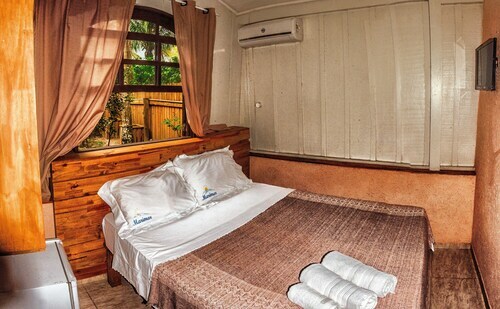 Offering direct access to the beach, this Paranagua guesthouse is 0.8 mi (1.2 km) from Conchas Lighthouse and 2.5 mi (4 km) from Grotto of the Charmed. Portuguese Fort is 1 mi (1.6 km) away. How Much is a Hotel Room in Guaraquecaba? 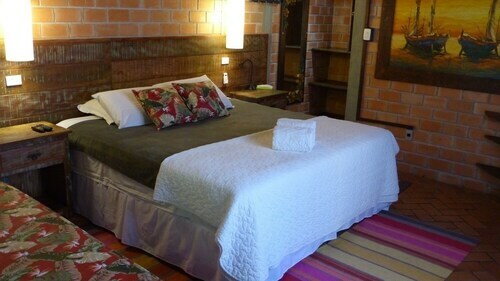 Hotels in Guaraquecaba start at $37 per night. Prices and availability subject to change. Additional terms may apply. At present, Travelocity's extensive Brazil accommodations page doesn't feature any option in the vicinity of Guaraquecaba. For the times when you and your traveling partner are trying to find a hotel close to this corner of Brazil, Curitiba presents a good option for you. It is only 60 miles (100 kilometers) from Guaraquecaba. Curitiba hotels include he Plaza Ecoresort Capivari and Ramada Plaza Curitiba Rayon. Planning to move a bit further afield? South Region offers a number of attractions worth seeing. South Region is well known for its beaches and coastal plains, and interesting tourist sights are ruins, traditional villages and monasteries. In this part of Brazil adventurous travelers can enjoy hiking, picnicking and beach combing. Located 60 miles (93 kilometers) to the west of Guaraquecaba is Estrada da Graciosa, which features a variety of Travelocity-registered establishments. The Pousada Betânia and Hotel Dunamys Curitiba are some examples of the Travelocity-listed options here. Get yourself a serving of local sport by taking a trip to Rubens de Oliveria Stadium, which can be found 60 miles (94 kilometers) to the northeast of Guaraquecaba. Book a hotel near the sporting action at the Iguape Apartamentos Unidade - Iguape or the Hotel Dalu. Afonso Pena International Airport is a convenient arrival point for air travel, and is 60 miles (97 kilometers) outside Guaraquecaba's center. Conveniently located hotels are Bristol Portal do Iguaçu Hotel and Astron Suítes São José dos Pinhais.